Smoking has become a serious threat to human life especially for those who become habituated to it and couldn’t live without it. Its a shame for all those who smoke a lot and give stupid reasons as ” I am disturbed, I am alone and I need someone to accompany me” But the true fact is that they become so much addicted to it that they become blind to what will be its side-effects or consequences. All they know about is that cigarettes are their best friends. Some people after suffering from various side effects finally decide to quit smoking and they try various techniques to avoid it. Such people are few but can be considered as at least sensible enough than those who besides knowing the disadvantages continue to use cigarettes. Cigarettes makes your body adaptive to getting regular patches of nicotine and makes you addicted to it. When you quit smoking you suffer from symptoms such as : You start feeling irritated, you tend to remain hyper all the time, you are unable to concentrate on your work etc. Nicotine replacement therapy (NRT) releases nicotine into your blood at much lesser levels than in a cigarette, without the tar and other poisonous chemicals present in smoke. NRT comes in different forms including : chewing gum ,tablets, strips , nasal spray , mouth spray etc. 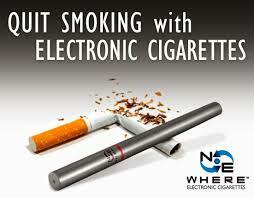 E-cigarettes were first developed in China Many and resemble to normal cigarettes but is is a tobacco-free product. 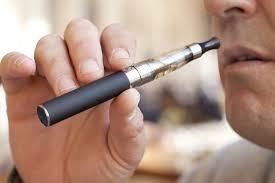 They are actually vaporizers and make use of a mechanism that heats up a liquid which is then inhaled. Clinical researches are in progress and the Government still have not granted permission for the use of e-cigarettes since it has not been clarified that how much quantity of nicotine it actually contain. I would rather suggest all those people who smoke a lot to just think about their family members and try to quit smoking since life is very beautiful and it should be enjoyed not wasted. So take care and stay blessed ! Health and Fitness, Health Tips quit smoking. permalink.